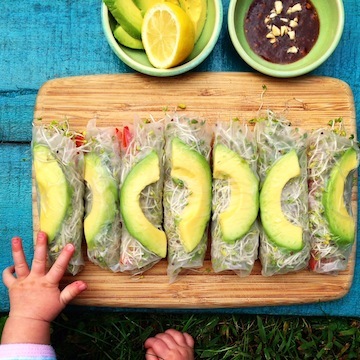 Once you go raw, you never go…back? | Eat More Plants. Today was one of those days that I didn’t feel like getting in the car. I hate going grocery shopping on the weekend when everybody is packed in like sardines and you have to stop and chat with half the people you see. I’m not antisocial or anything but I like to get in and get out. Quick and painless. Although I’ll admit I usually do have this false sense of urgency when I’m shopping. It must be that I’m used to the NY pace of life that here in VT things (and people) seem to go slower…not better drivers though. Without a doubt the WORST drivers can be found on Long Island (NY). Ok anyway, back to the kitchen. All measurements are approximate. Remember this is about creating, it doesn’t have to be perfect or exact. I did not soak any nuts or seeds either. All raw. Blend everything in a food processor until it becomes dough-like. Might be easier to blend everything except the almond butter first, just until you get a fine meal consistency and then add the butter. Press into tart pans, cupcake pans or even just the liners, a springform pan…whatever you desire. Set in the fridge while you make a filling. This was enough for 8 cupcakes and 1 small tart. 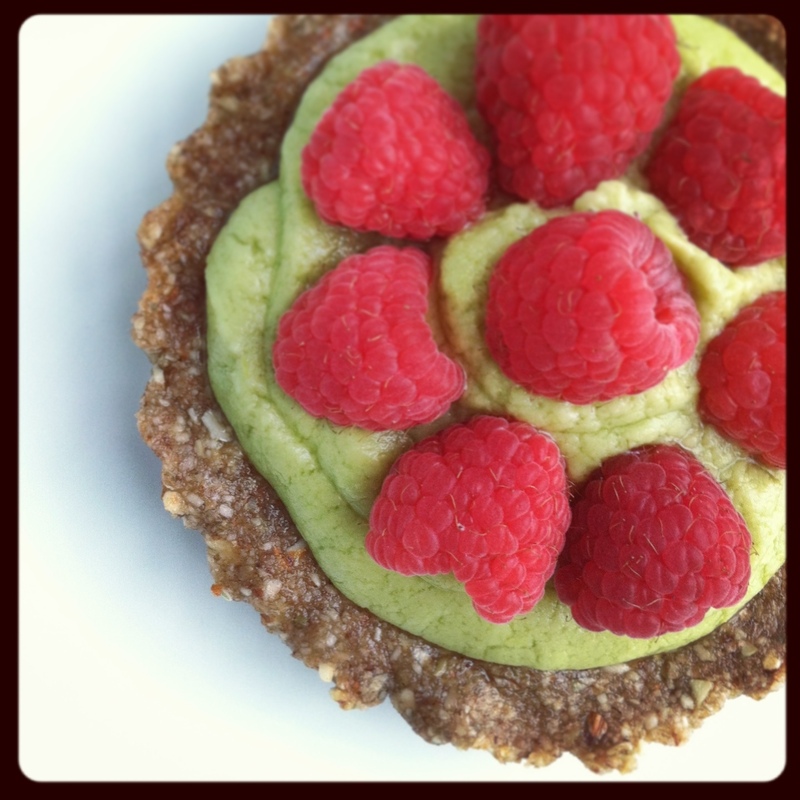 I usually opt for cashew cream in my raw desserts but today I had a ripe avocado and a lime to play with. I scooped out the avocado into the clean food processor bowl. Added the zest from a small lime and a teaspoon of its juice. 2 tablespoons of coconut oil and 2 T agave also. Process until very smooth. As you can see from the picture above, my cream did somewhat separate. I wasn’t to concerned knowing that it was just an experimental kind of thing that my daughter and I would be eating, so I didn’t correct it. Sometimes the oil will separate from the avocado if the temperatures aren’t the same. My avo was probably a little colder than the oil. In any case, it tasted great. A slightly sour fruit is good for topping here just because the crema and the crust have more elements of sweetness. Now you can go in any direction with this. I’ll be making cashew cream tomorrow to top the cupcakes. Cashew cream has been one if my favorite cheese replacements so far in my vegan food journey. Cashew cream and kiwi maybe? We’ll see what looks fresh tomorrow at the co-op.